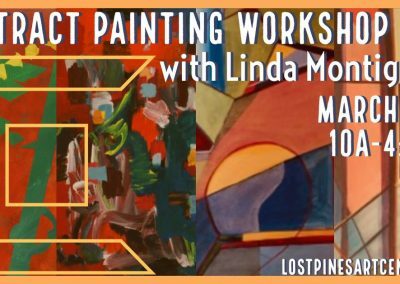 The Lost Pines Art Center offers a variety of classes, workshops, and one-on-one training sessions for participants of all skill levels—from beginners to professional artists, and everything in between. Our experienced instructors are masters of their craft who enjoy teaching practical techniques to foster creativity and proficiency in their students. 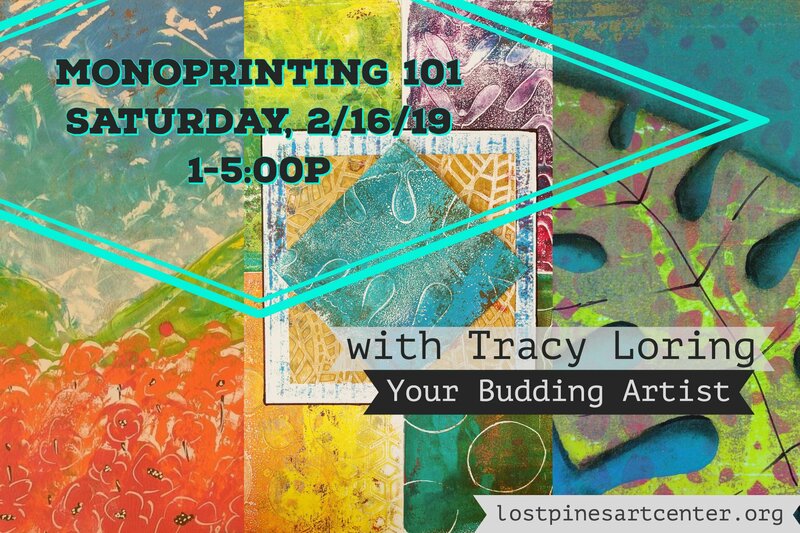 If you have a particular class or topic you’re interested in that we don’t currently offer, please email your suggestions to classes@lostpinesartcenter.org. 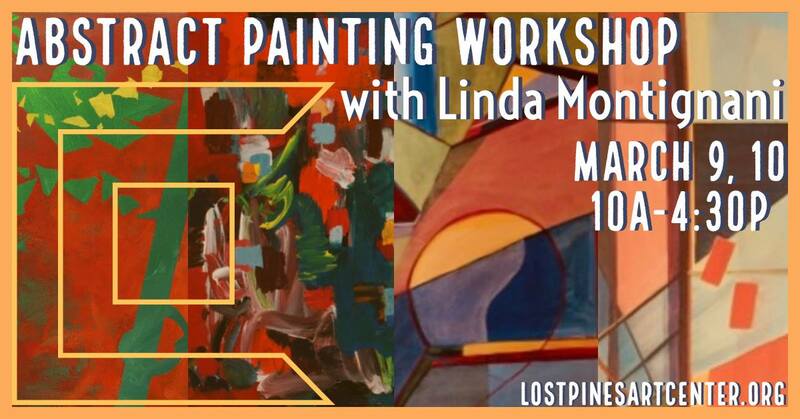 Exciting things are happening at the Lost Pines Art Center! Every month, our calendar is full of fun activities for art lovers of all ages. Our monthly events include Art After Dark, Art Bites, and Wine & Unwind, and every other month, we host Art Getaway. Come join the fun, and make plans to attend one of our recurring monthly events! Art After Dark is an engaging event held on the first Saturday of every month from 5:30-8:00pm. Join us for wine and hors d’oeuvres, as we unveil our “Artist of the Month” Exhibit. 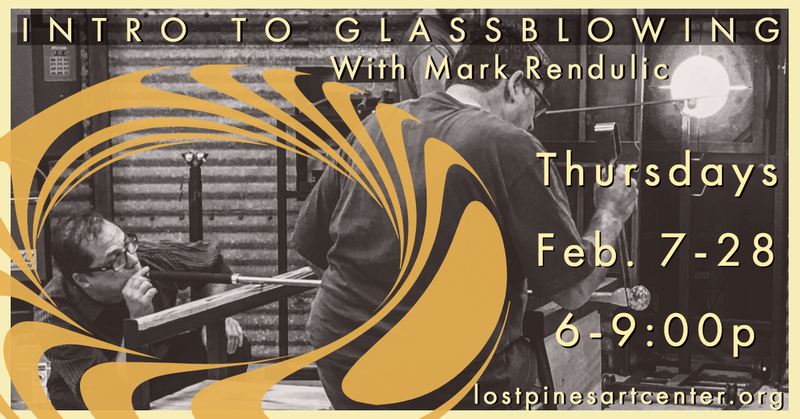 Plus, enjoy an Art Talk by a distinguished guest speaker and creative activities like gesture drawing and glass blowing. Art Getaway is a creative day of exploring your creativity held on the third Saturday of every other month from 1:00-5:00pm. 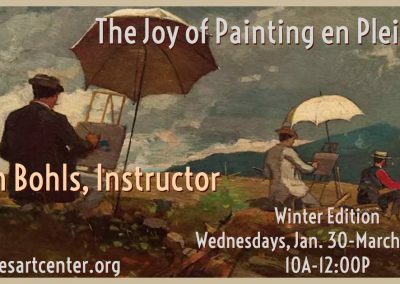 Enjoy intro art classes and workshops, artist demonstrations, an interactive community art table, kid’s arts & crafts room, live music, art exhibits, shopping, and more! 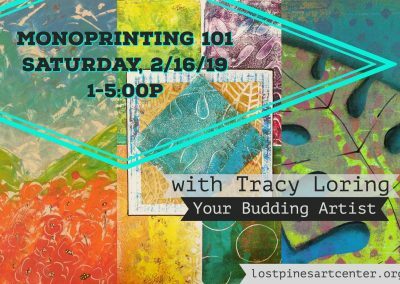 Spend your lunch break at the Lost Pines Art Center for “Art Bites!” on the third Thursday of every month from 11:30am-1:00pm. In addition to networking and socializing, we’ll host an educational social media discussion about a different topic each month, led by our resident marketing guru. Wine & Unwind is held on the second Saturday of every month from 6-8pm. Paint your stress away, while enjoying your favorite wine or other beverage! 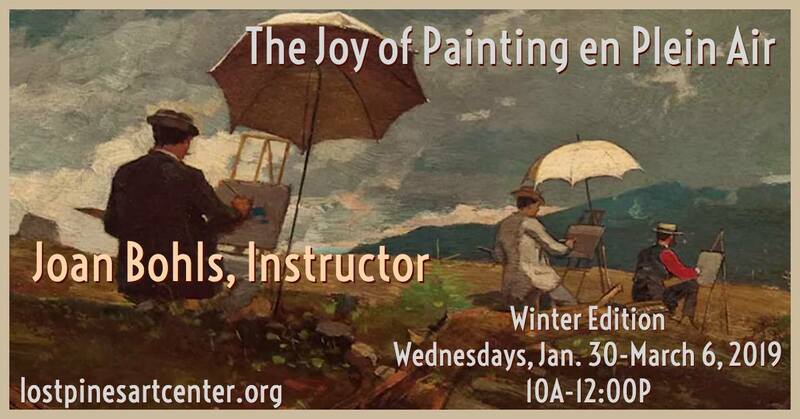 Fun for all skill levels, you will paint a simple and beautiful image pre-drawn onto a canvas. We provide the supplies, and you bring the wine! 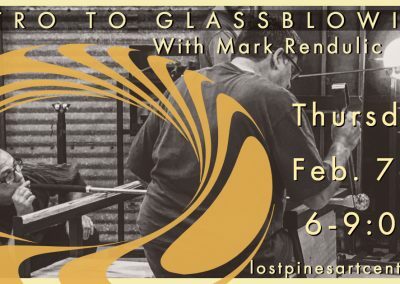 Besides our recurring monthly events, the Lost Pines Art Center also hosts a variety of special events, including our Annual Spring Gala and many Artist Receptions for exhibit openings. Additionally, many community events, receptions, meetings, and cultural performances are held at the Art Center. If you’re interested in renting the Art Center for a private event, click here. The Lost Pines Art League hosts an annual Gala every spring to generate funds for our operations budget and scholarships. This afternoon event offers a live and silent auction, fine food, and entertainment in a relaxing atmosphere. 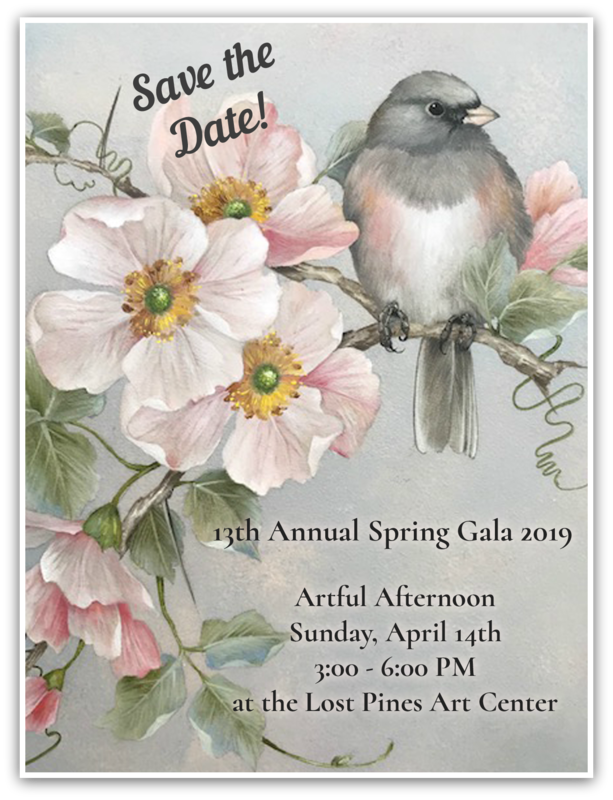 The 13th Annual Spring Gala will take place on Sunday, April 14th from 3:00-6:00pm at the Lost Pines Art Center.